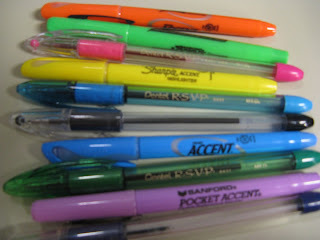 Using colored pens in the office is fun and a bit playful. Good for you.... You are always trying to find ways to make "things" a little brighter ! !